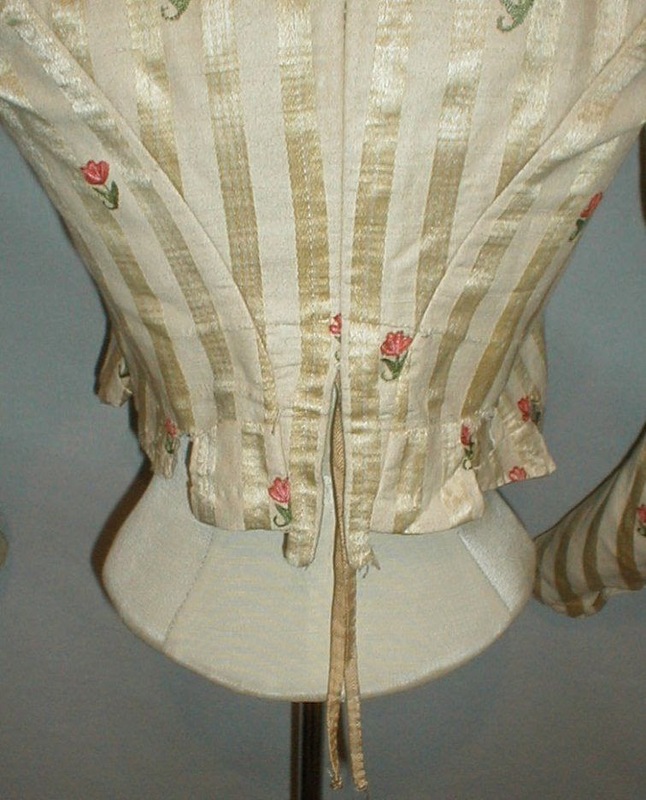 A rare 1780-1790 18th century bodice. The bodice is all hand stitched. 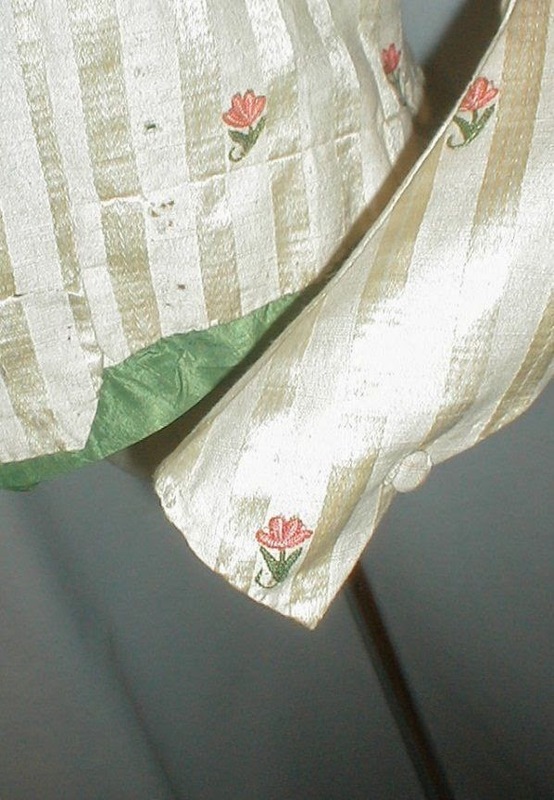 The fabric has a pale yellow satin stripe pattern the is intermingled with small embroidered flowers. The background color is white. 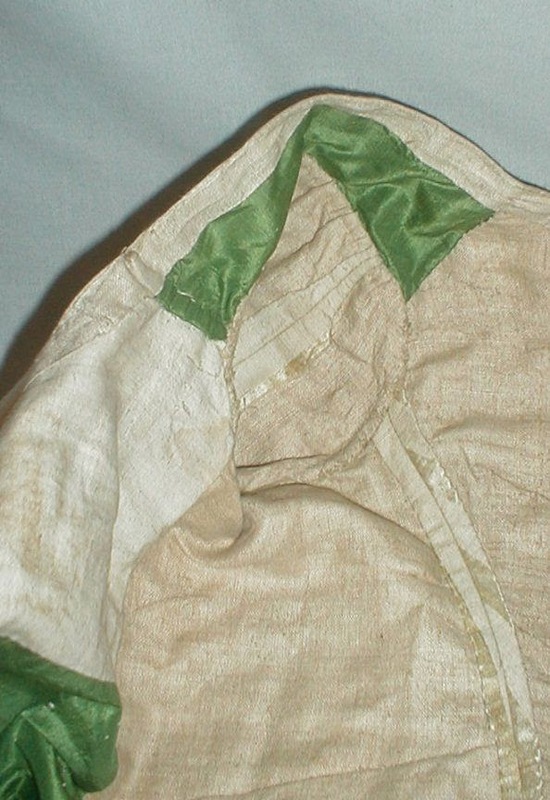 The inside is lined with homespun linen and green silk. 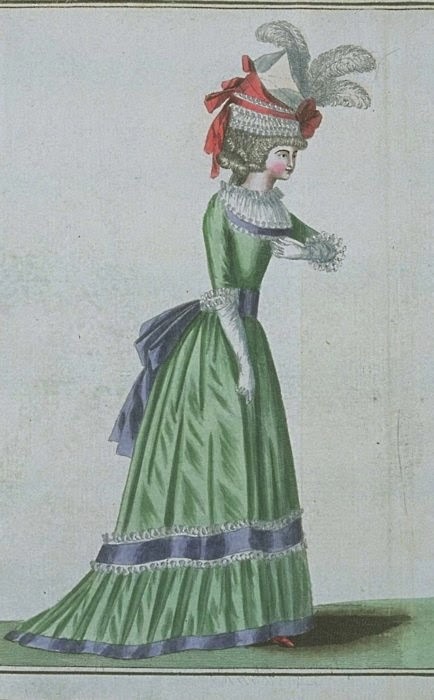 The bodice has a tab hemline. The sleeves have a fabric covered button closure. As can be seen in the photos the fabric has been pieced together in some areas. This was done during the time period probably because the cost of fabric was so expensive. 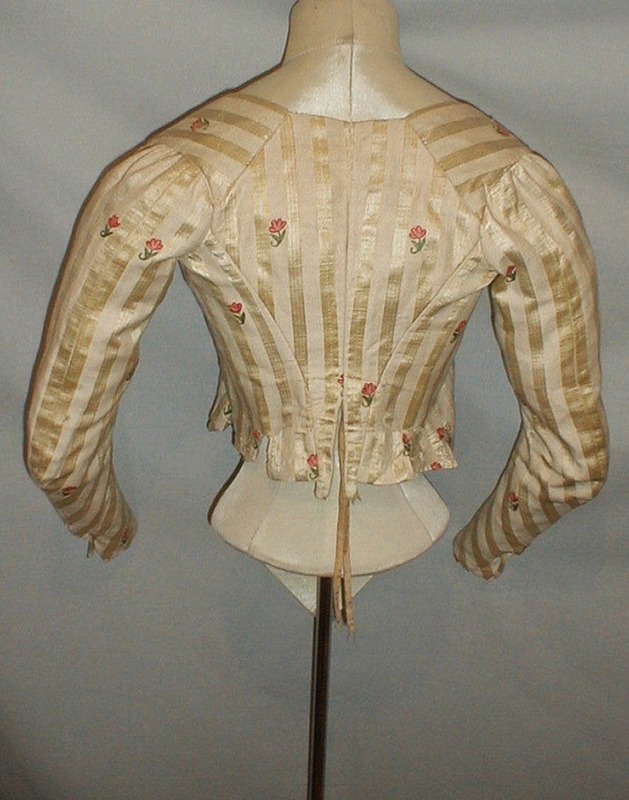 There are a few tiny marks on the front of the bodice indicating that it was pinned in place for wearing. 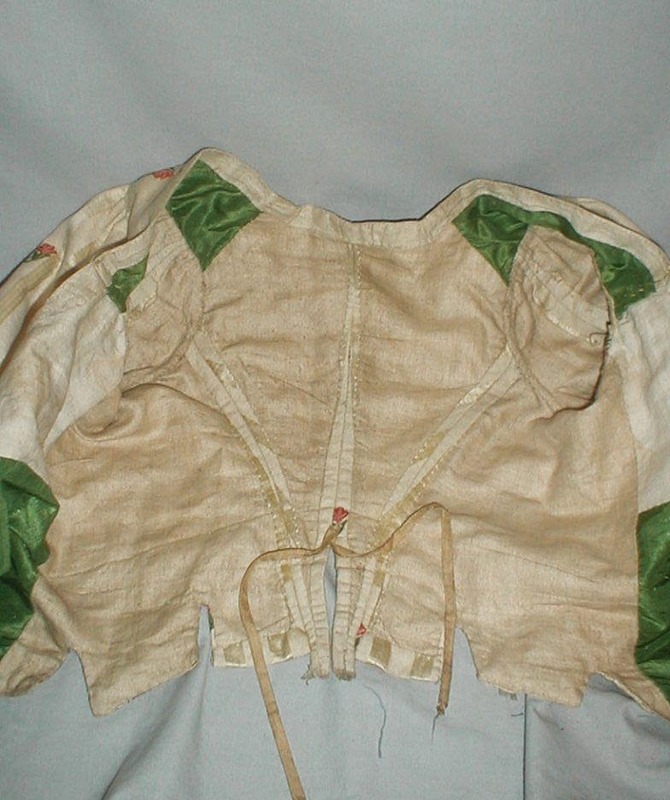 The bodice is in very good condition. There is no underarm discoloration. There are a few pencil tip size age spots and two slightly larger then pencil tip size holes. 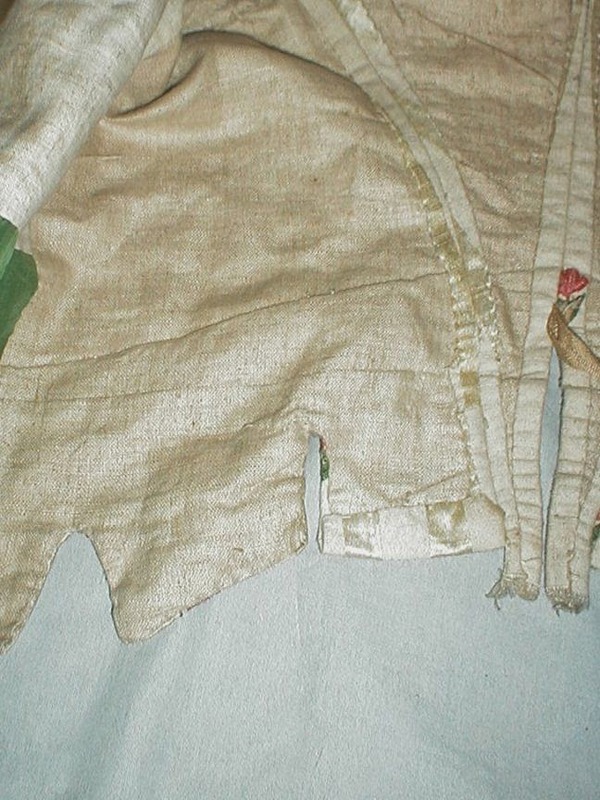 There is a ½ inch period mend on the back tab area and the two narrow back tabs at the center back appear to have been cut. 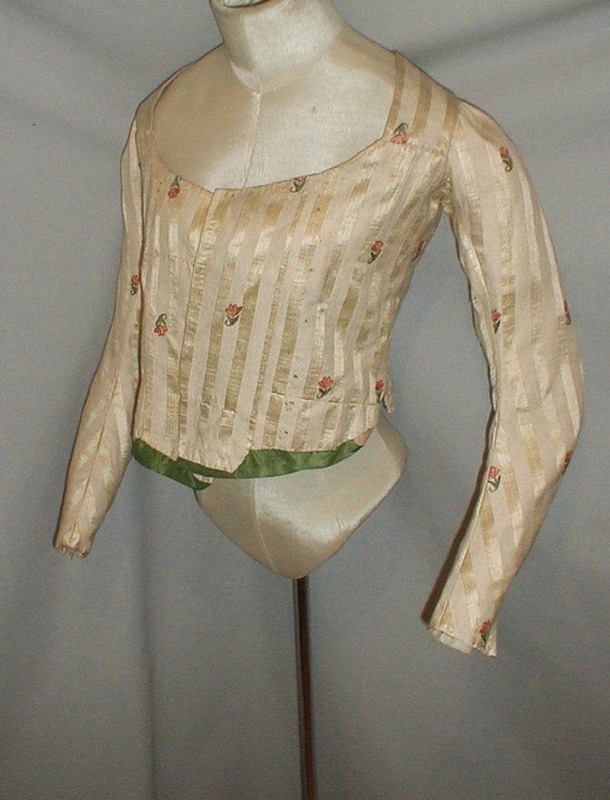 A wonderful bodice to add to an early textile collection. Bust 30 Waist 24. This was probably another victim of the centennial celebrations (1876) in the United States. It was a thing to wear great grannies dress to the celebrations but change it to the "modern" styles. 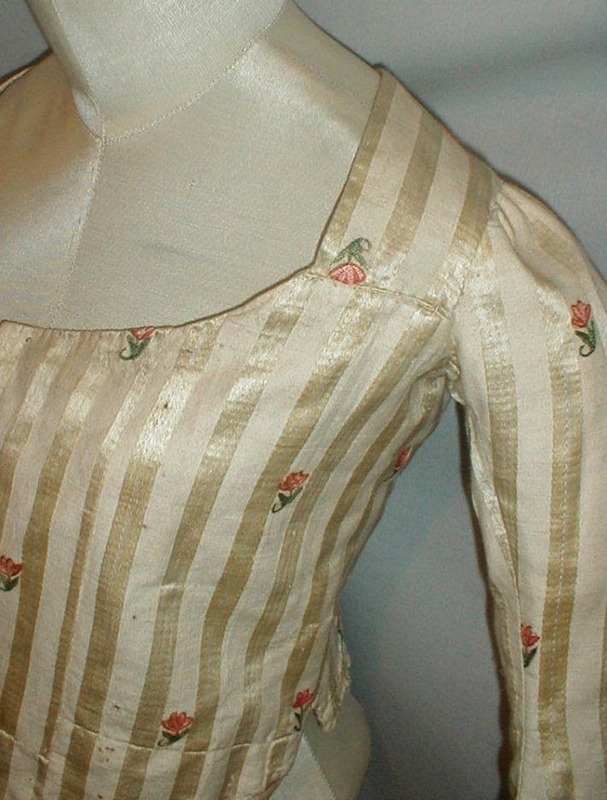 You can easily tell this used to be an early 1790's dress (right before Regency styles). 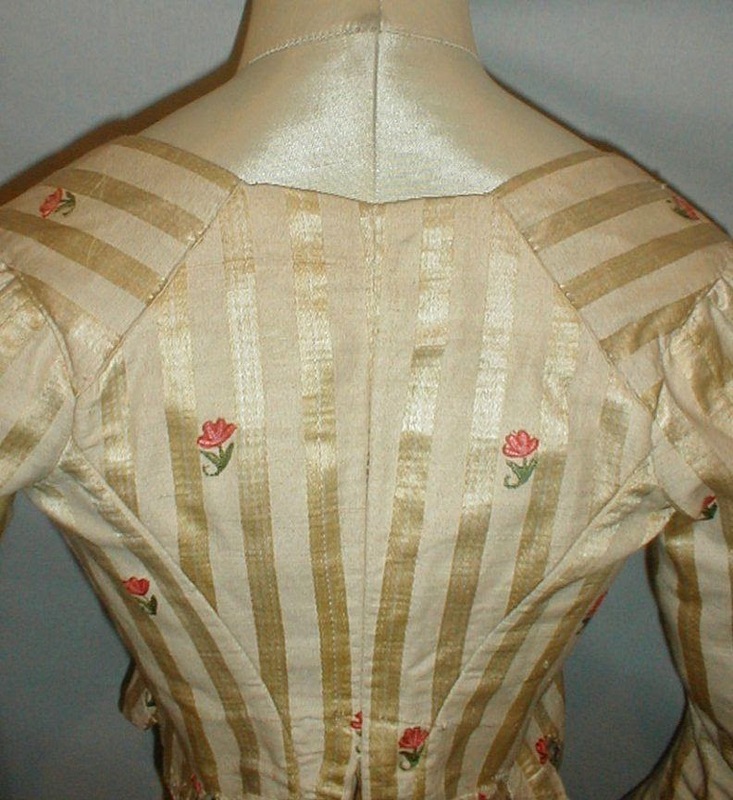 The back panels are flipped over and stitched hastily unlike the front tabs - the back panels were probably still attached to a skirt that was ripped off to make a dress or bodice for someone else. Or pillows. The ribbon in the back was added in the 1870's as well. 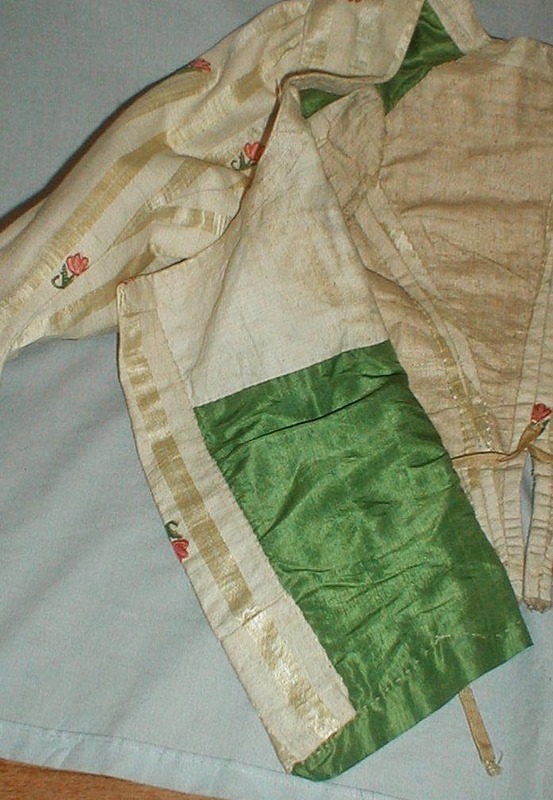 The green silk looks to have been added later too - I think that and the piecing are probably more due to the garment being resized for someone else than due to piecing being period. The original dress this bodice is a remnant of would have looked something like this, but with an open front.